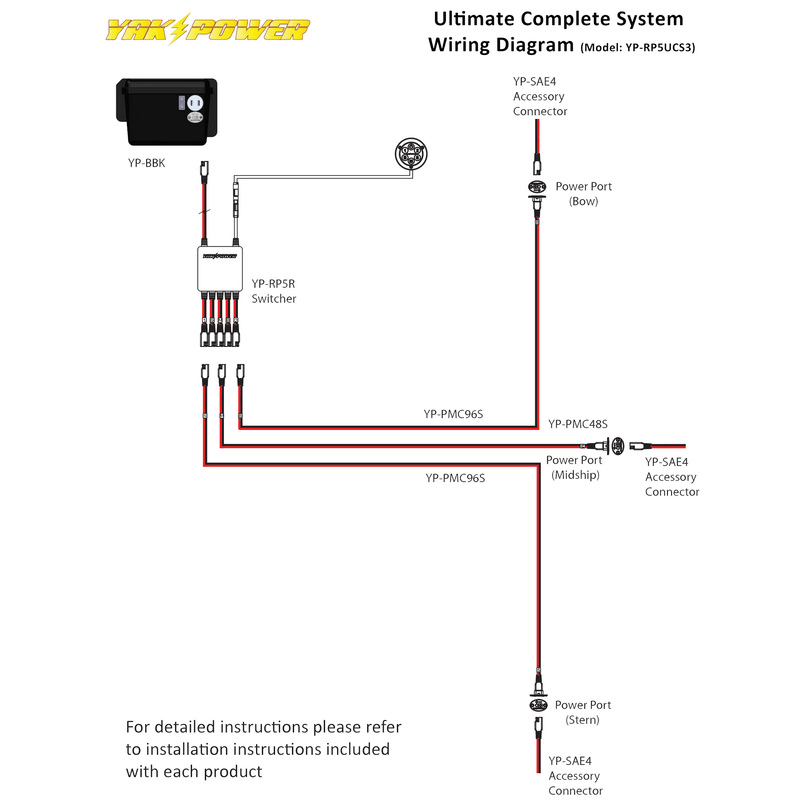 The Ultimate Complete System makes it easy to add and power 12-volt electronics to your kayak. It’s a complete plug-and-play wiring solution that features our patent-pending Power Panel electronic control system with three Power Ports (bow, mid-ship, stern), our Power Pack Battery Box (batteries not included) with master power switch and integrated USB charging, and three Power Plug accessory connectors. All you’ll need is a battery to put in the Power Pack to power up your system! Connecting everything together is quick and simple thanks to our plug-and-play connectors. We’ve also included two extra accessory outlets on the Power Panel switcher for LED lights or other accessories you want to add. So, if you’re looking to spend less time rigging and more time fishing, this is the ultimate kit for you! Note: Make sure the plug-and-play connectors are completely pushed together when connecting the system together. Yak-Power uses our own custom tooled, high tolerance, very snug fitting connectors with larger gauge, real copper wire to ensure a quality, weatherproof and reliable connection. All our plug-and-play accessories are specifically designed to work together while maintaining the correct battery polarity throughout the entire Yak-Power system. Using other aftermarket connectors or splicing other connectors into the YP system may cause damage to the system or the accessories connected to the system and may void your warranty.